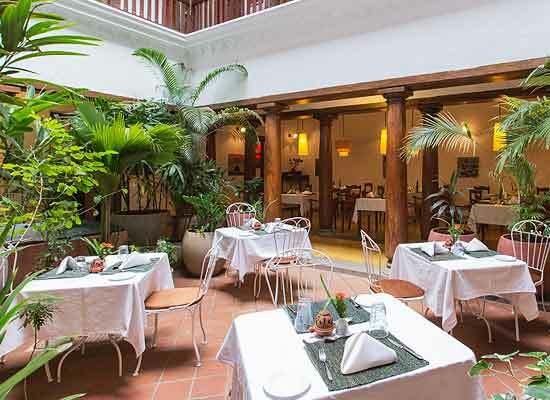 "For those who wish to experience and enjoy a fine balancing of French and Tamil traditions and cultures, Maison Perumal is a fine choice of hotel. Even the name of the hotel is based on the mixing of two cultures. 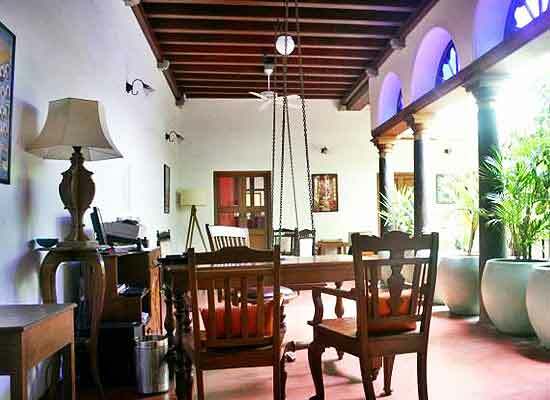 It is one of the most sophisticated heritage hotels in Pondicherry. The two courtyards named as Thinnai and Thalavaram reflect the original Tamil traditions while the elegantly designed windows showcase the authenticity of French architectural patterns. The hotel offers a private stay as there are only 10 guest rooms here. Maison Perumal was constructed over 100 years ago as a Residential palace for a wealthy French family. It was designed using traditional architectural style of France. After the family left the house, it remained abandoned for a number of years, before being re-constructed as a fine heritage hotel in Kerala. 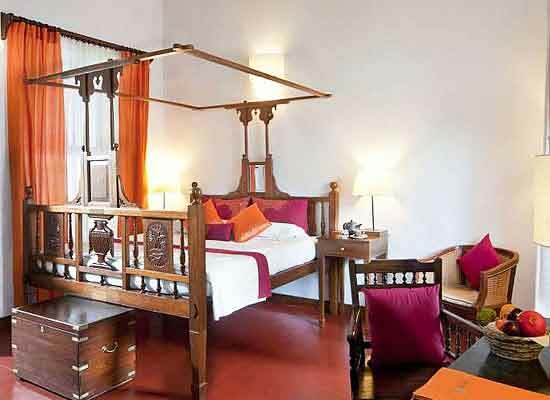 In this heritage hotel of India, there are a total of 10 guest rooms. 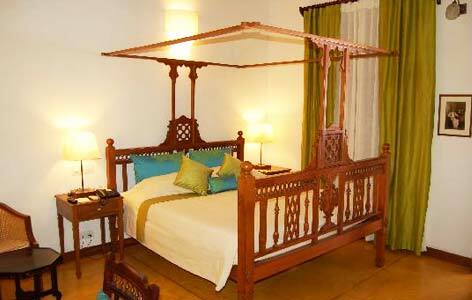 All the rooms are stylishly decorated and elegantly furnished. The art culture of France is transparently visible as soon as one enters the room. All the rooms are very spacious and for comfortable living are flourished with air-conditioning and other luxury facilities. Courtyard Dining Area: The multi-cuisine restaurant specializes in Creole dishes. Throughout the day, only one signature dish is served to the guests while buffet spread is available for dinner. Cocktail lounge: This is an amazing spot to taste some of the best French liquors. Coffee house: The guests at the hotel can come here for a sip of hot brewing coffee. One of the most quaint and tranquil locations in the state of Tamil Nadu is the city of Pondicherry. Situated far away from the dull city life, Pondicherry is idea for every tourist who is just looking for seclude peaceful vacations. Pondicherry is obviously noticeable for its unmistakable French charms. The town is replete with stunning boulevards, ancient structures and gorgeous sceneries of beaches and backwaters. Major tourist spots here include the four pristine beaches in Pondicherry including Paradise Beach, The Auroville Beach, Serenity Beach and Promenade Beach. Sri Aurobindo Ashram is a popular religious site here.